I confess that I'm trying to read more. Every spare minute I have, I have been reading. the second book in the Outlander Series. adds up. Thanks for the inspiration,Kerry. Nothing worse than stiff jeans. they are entitled to things in life. something, you have to earn it. I confess that I have been single for sometime now. It's so hard to meet a nice guy. It makes me sad but it is what it is. I confess that I can't cook, like at all. It's really bad. Most nights, my sister cooks me dinner. She is my roommate and likes to cook so, why not?? I do clean up, that counts for something, right?? Have you entered our giveaway?? 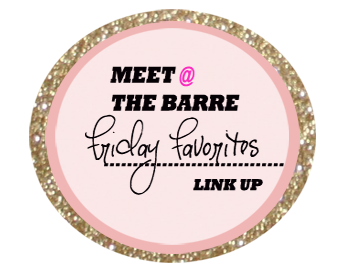 Up for grabs is a $150 Nordstrom gift card, a Harrods tote bag from Marie's recent travels abroad and a Lilly Pulitzer Pink beach towel from the LillyforTarget craze! Brought to you by my beautiful sponsors! Seeing as I haven't done a Insta-Lately post, I thought one would be perfect for today. 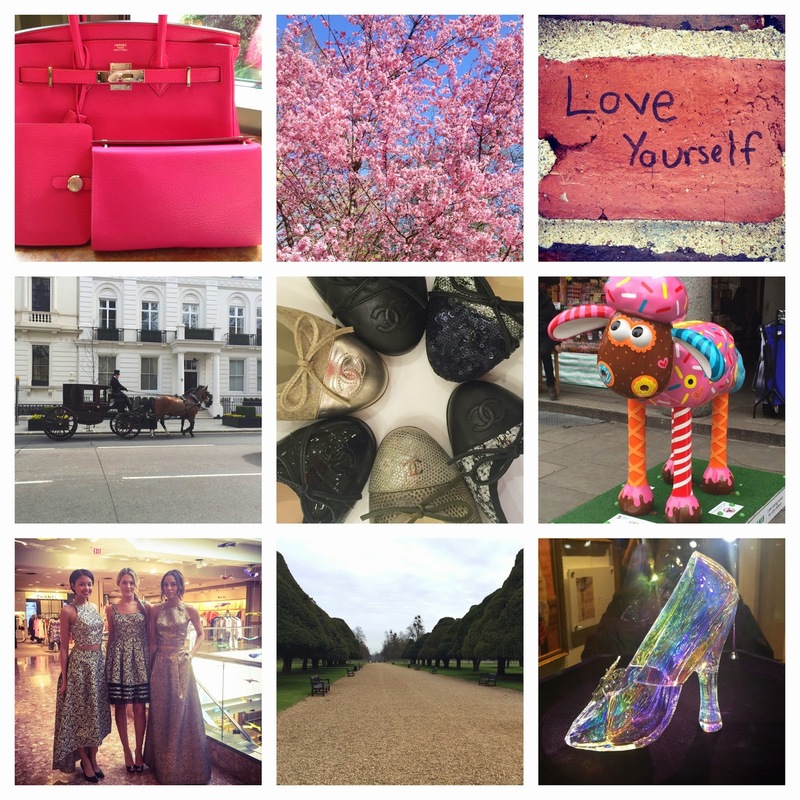 Here is what has been happening on Instagram. Instagram is totally my favorite platform of social media. I just love looking at pictures. What is your favorite platform of social media?? Can you believe this is the last week of April?? I'm really looking forward to the nice days that lay ahead. while we were in London. 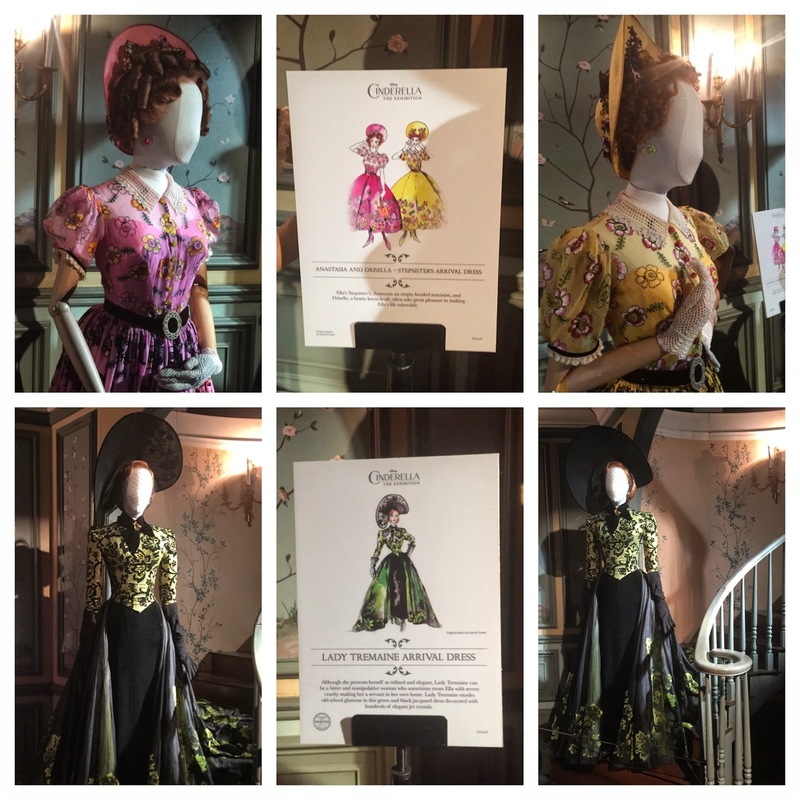 The exhibit included costumes and props from the Disney movie, which had yet to come out in the UK. It had over 100 props and costumes from the film. 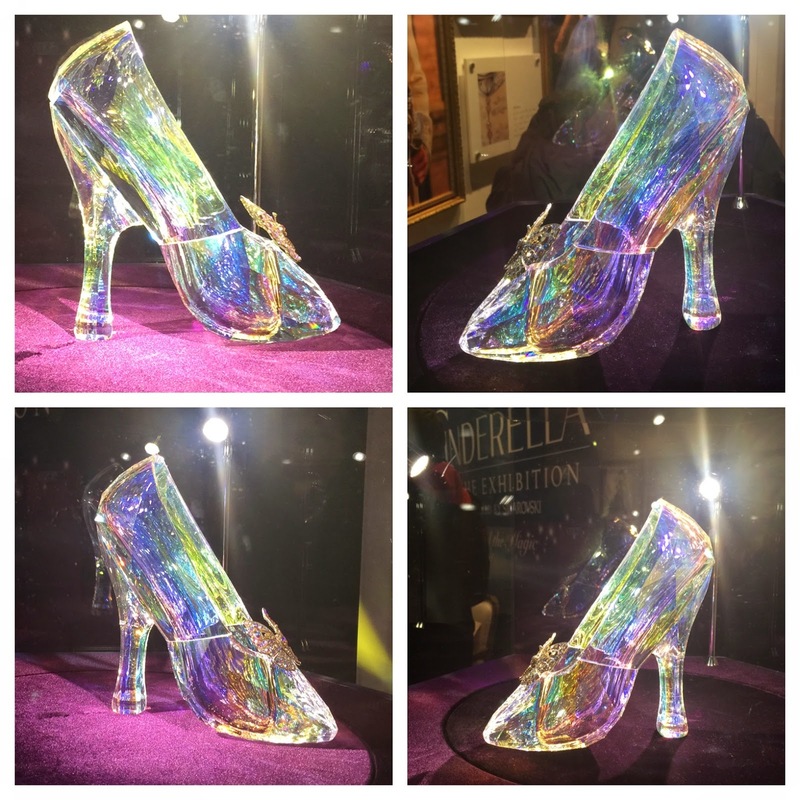 the glass slipper which was made by Swarovski. 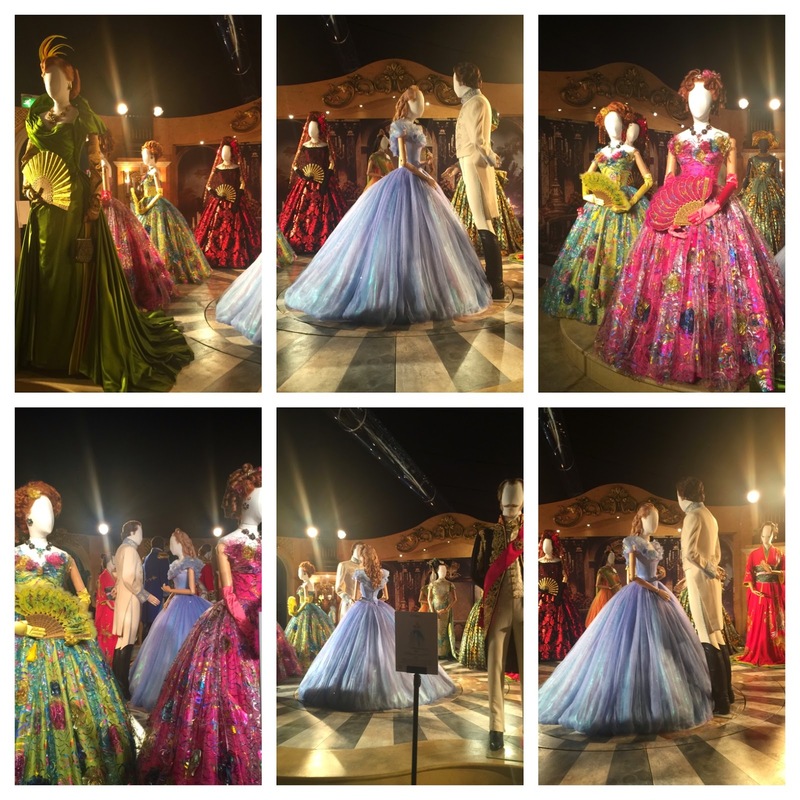 These pictures do not do this exhibit justice. It was simply amazing. Oh and the costumes, so fantastic. 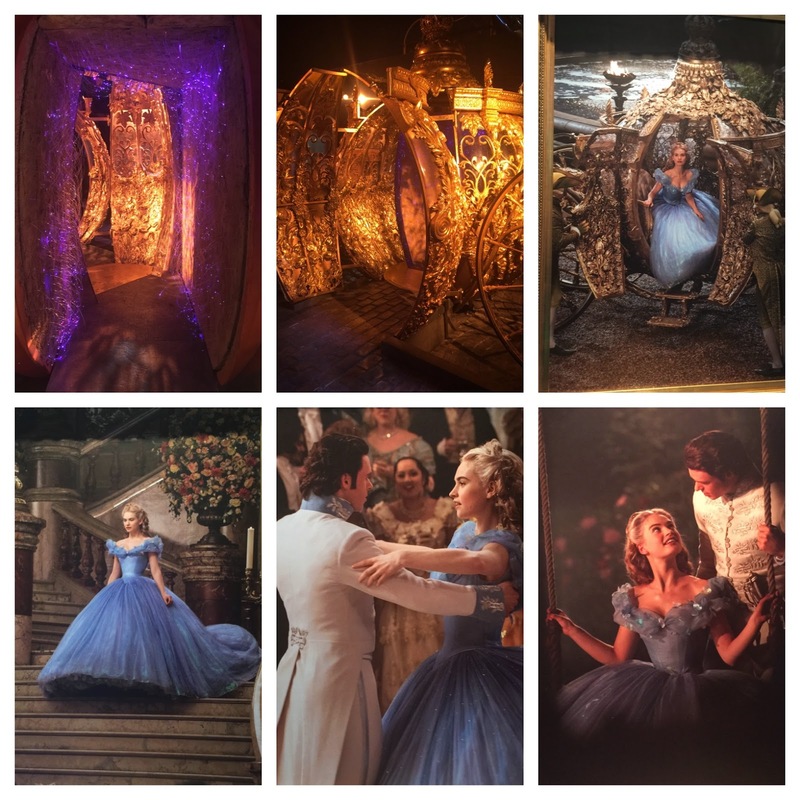 As a lifelong Cinderella fan, I was in heaven. 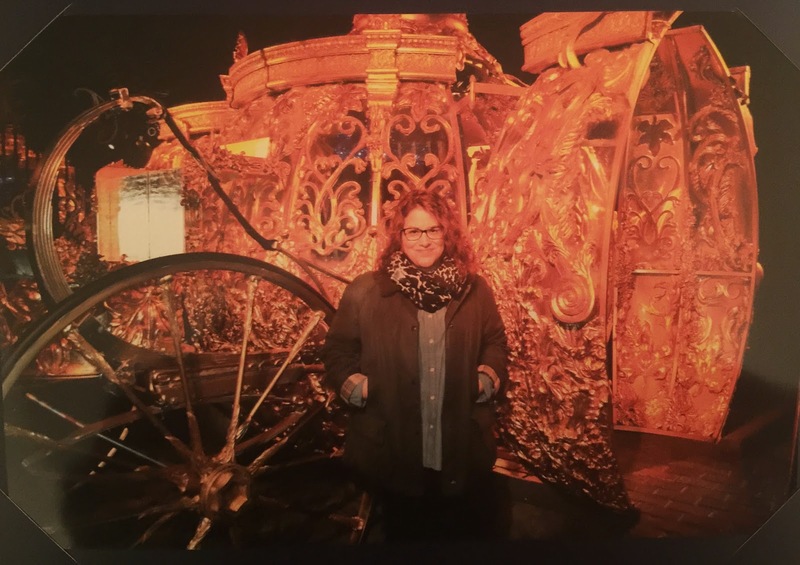 They even had professional photographers take your picture next to the carriage. Of course, I had to do that and yes, you had to pay for that picture which I happily did. JenniSixx wanted no part of that. Hence, why she isn't in the picture. declined because my toes were not polished. haha #girlproblems. Now, I just need to see the movie. I heard it's fab. Just haven't had the time to see it. 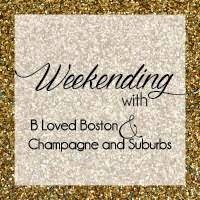 It's a super fab giveaway, make sure you enter to win!! Are you a fan of Cinderella?? This song is from the movie, The Fast & The Furious 7. It's a loving tribute to the late actor, Paul Walker. I saw this shirt at Old Navy and knew I had it have it. Not only did I love color, I loved how lightweight it was. for the summer. 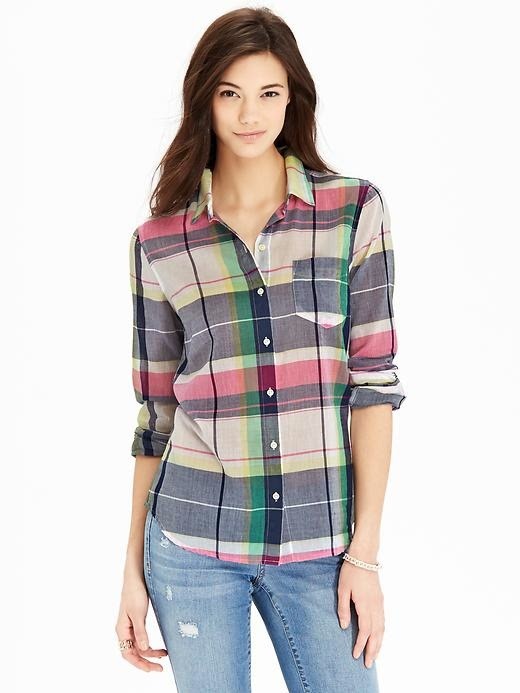 It looks so nice with jeans or navy pants. 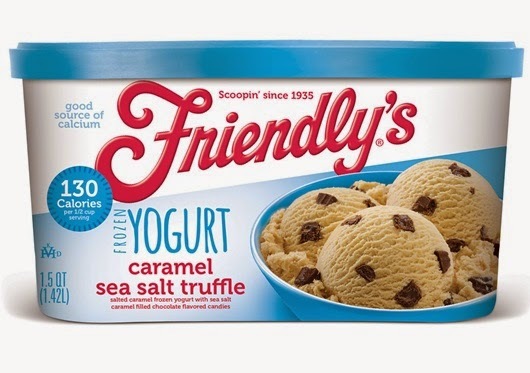 This frozen yogurt is so good!! sea salted filled chocolate candies. fill my sweet tooth. Oh so yummie. 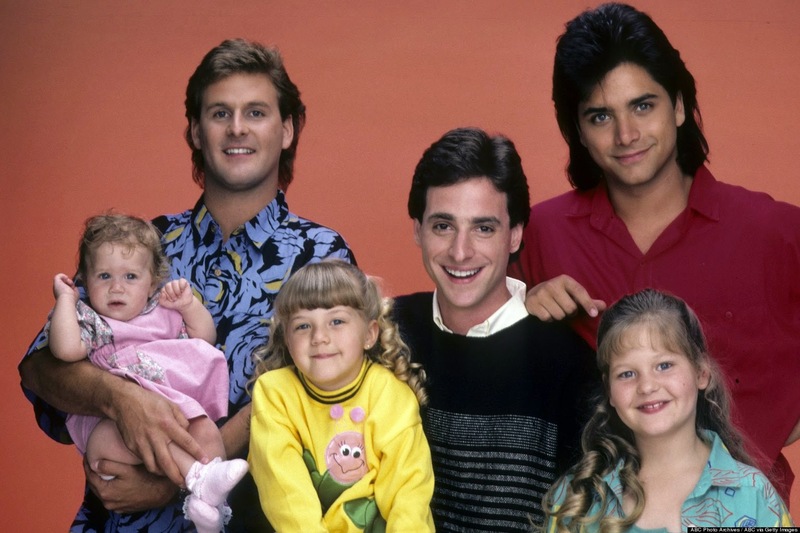 Full House is coming back to TV!! It will be called Fuller House and will be on Netflix. I loved this show back in the day!! Thought this quote was perfect. 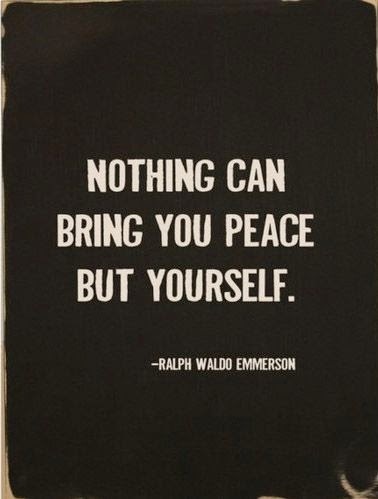 Only we can bring ourselves peace, no one else. So happy that the weekend is here. While it was a short week for me, it always feels longer. I confess that I'm still watching way too much television. 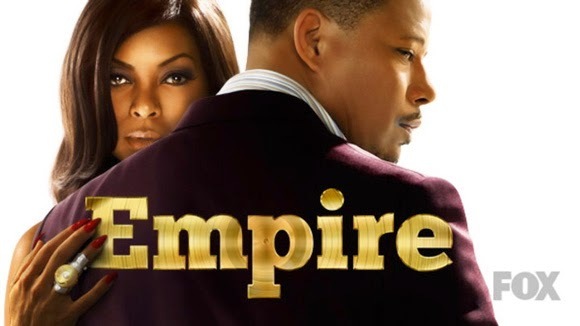 I'm currently watching Empire. It is so GOOD!! Cookie Lyon is the best and that wardrobe of hers! I'm loving my new glasses. It was not easy to find a new pair. After many many visits to various eyeglass stores, I finally found a pair. really sad when that was no longer an option. on how nice my teeth are. I completely disagree. I'm loving that spring has finally showed up. just turn off their heat. Talking to you, office. I would be really really happy. I confess that I already broke my shopping ban. Thank you Lilly for Target!!! Come on, it only happens once, right. That is how I justified it. 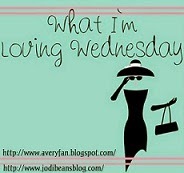 What are you loving this week or what is your confession?? 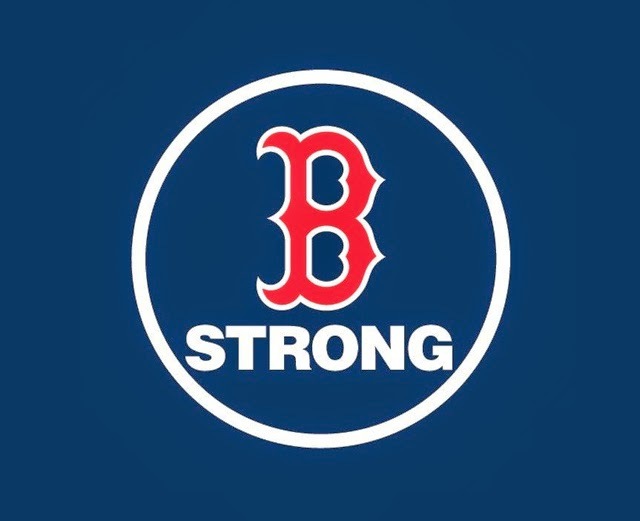 Today is the Boston Marathon. 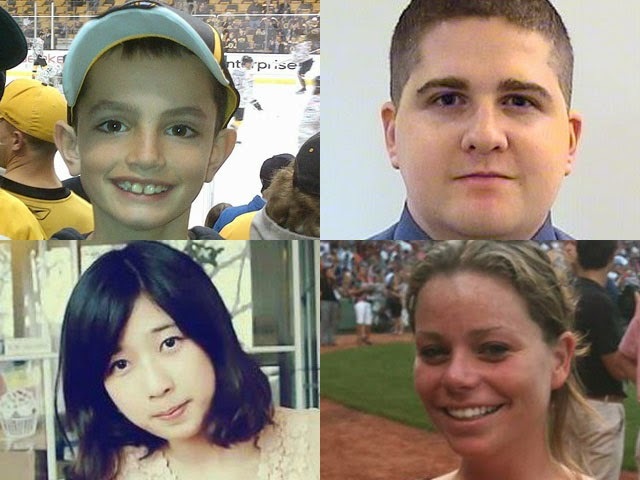 Two years ago, Boston was forever changed. Four people lost their lives. Others lives were completely changed. the victims families and all the survivors. This is an old song but such a classic. listening to this song over and over again. It's such a beautiful song. 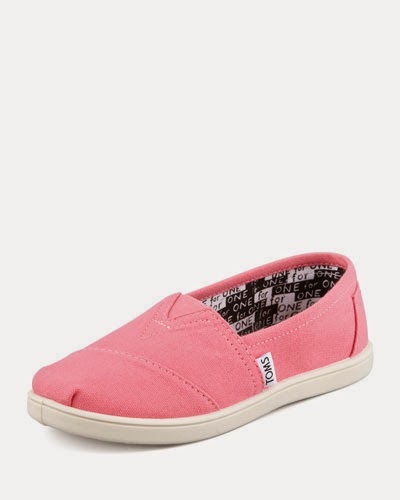 Two summers ago, I got a pair of pink toms and wore them every day. little girl's. So, I got myself a little girl's pair! A woman's size 7 is a youth size 5. Cannot wait to start wearing them. 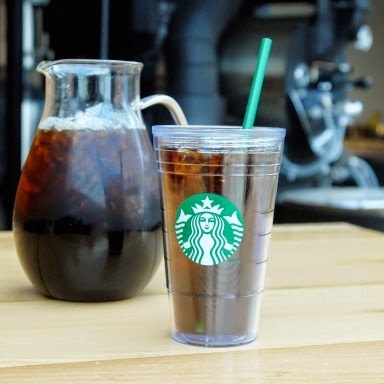 Have you tried the new cold-brew iced coffee at Starbucks yet? If you are a iced coffee drinker, you will LOVE this. It's a smoother and less bitter coffee. In a word, it's simply delicious. I find it to be very bitter. much that I went twice this week to get some. my local Target right when they open to get my hands on this collection. Yes, I will be outside Target Sunday morning, waiting for them to open!! 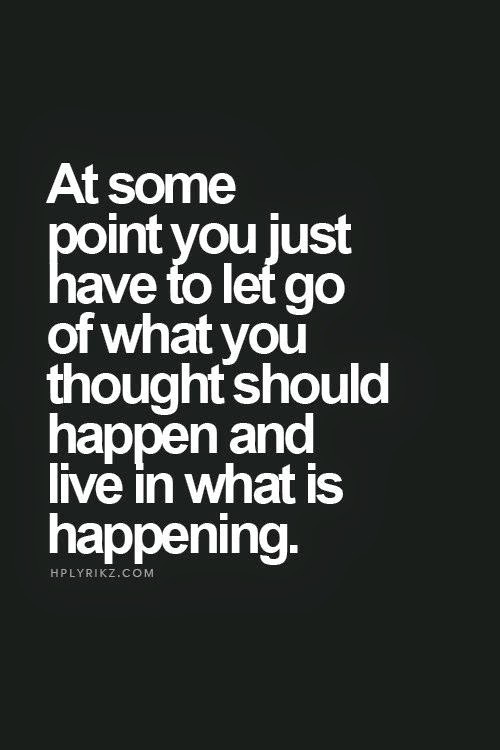 This quote pretty much sums up how I have been feeling lately. Normally, I would be excited that the weekend is here. However, I have to work all weekend. as it is Patriot's Day and also the Boston Marathon. It's hard to put into words my thoughts on the Marathon. and that somber feeling is still there. I don't think it will ever leave.